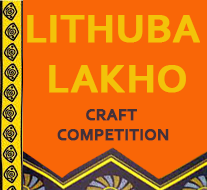 Top crafters working in the Eastern Cape Province were invited to enter their best products for this inaugural craft competition and exhibition. This project is designed to promote top export quality craft from a diverse range of disciplines and has been initiated by the Eastern Cape Development Corporation and the Nelson Mandela Metropolitan Art Museum in collaboration with the Mandela Bay Development Agency. Craft items are for sale!